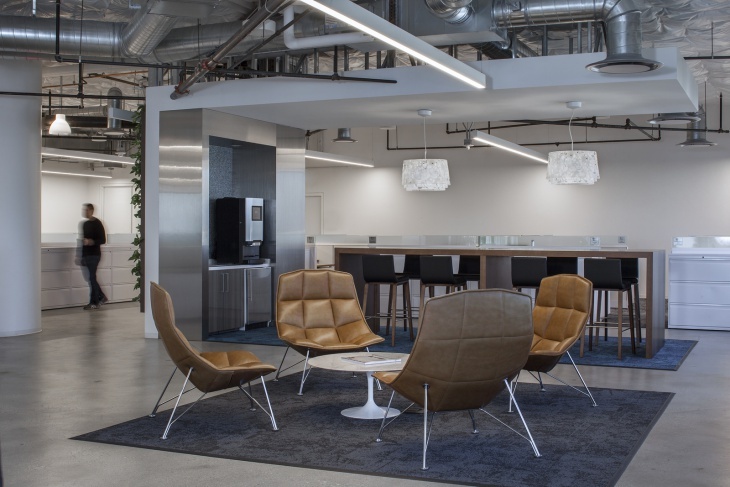 The changing work atmospheres ask for changing decor. 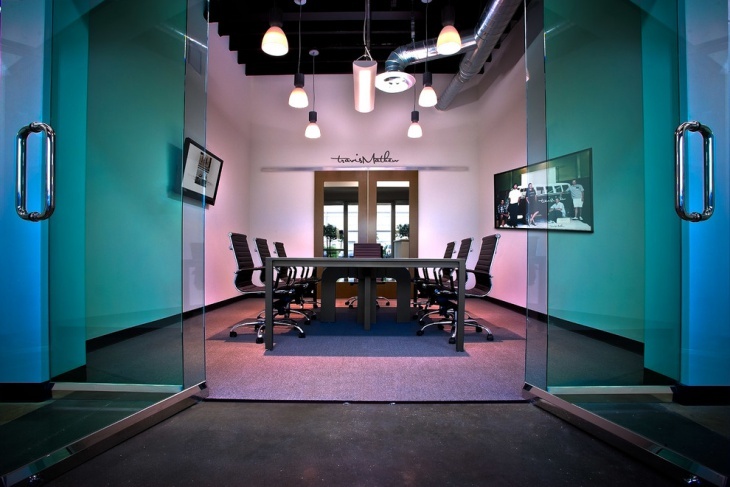 Nowadays, the design of the meeting room is as important as the design of your house. It not just helps the team members feel more enthusiastic but also creates a positive space to work and be productive. 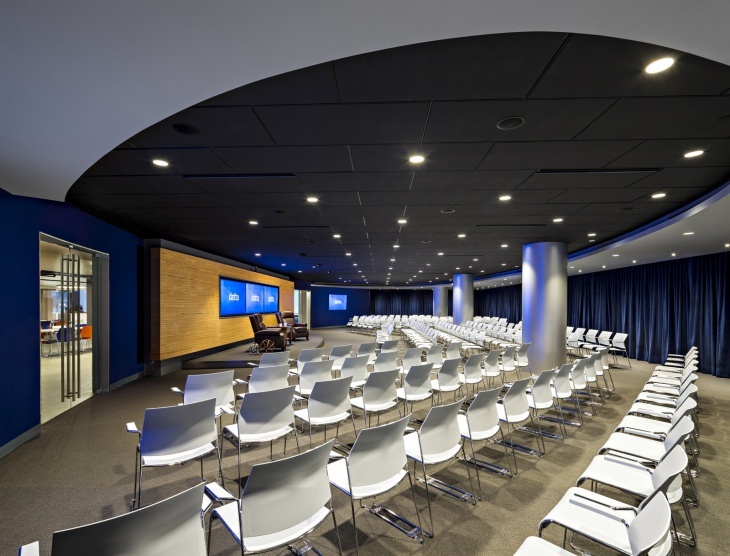 Whether you are outfitting a meeting room in your home or in a big 20 story building the design is what reflects the nature of your work and the personality of your office. 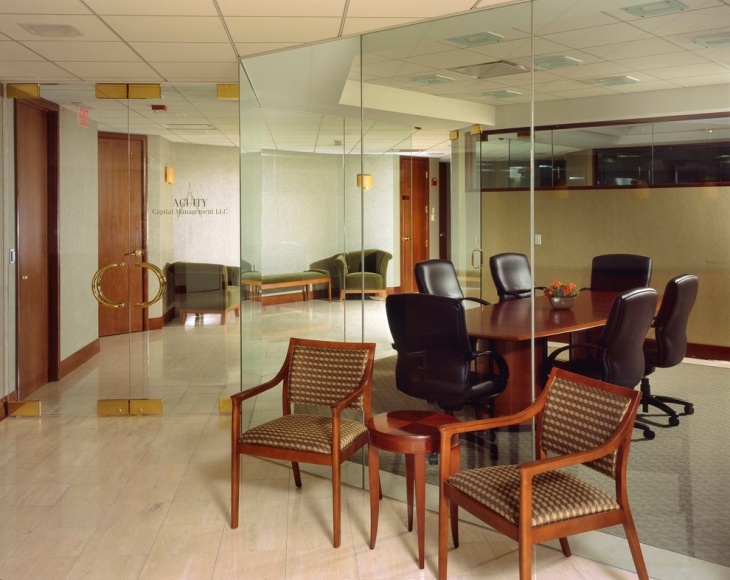 If you love the simple and standard look go for neutral colored flooring that will help you enhance the office space. Opt for a simple wooden storage unit that will keep the files and documents organized and sorted. 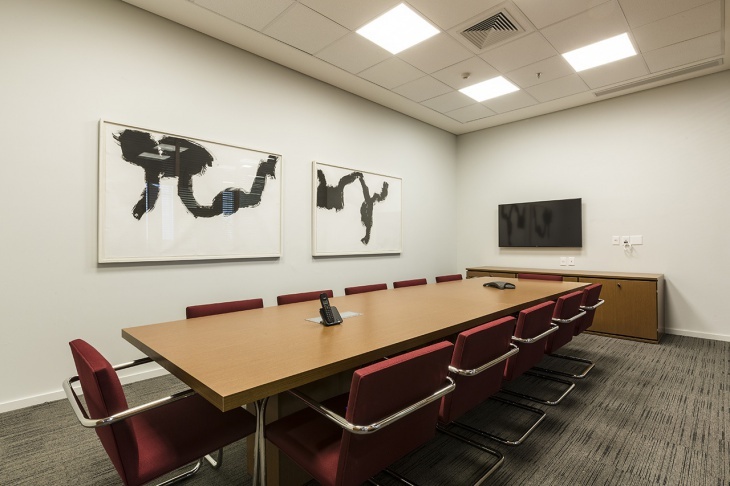 You can also hang a simple artwork to give a warmth to your meeting space. 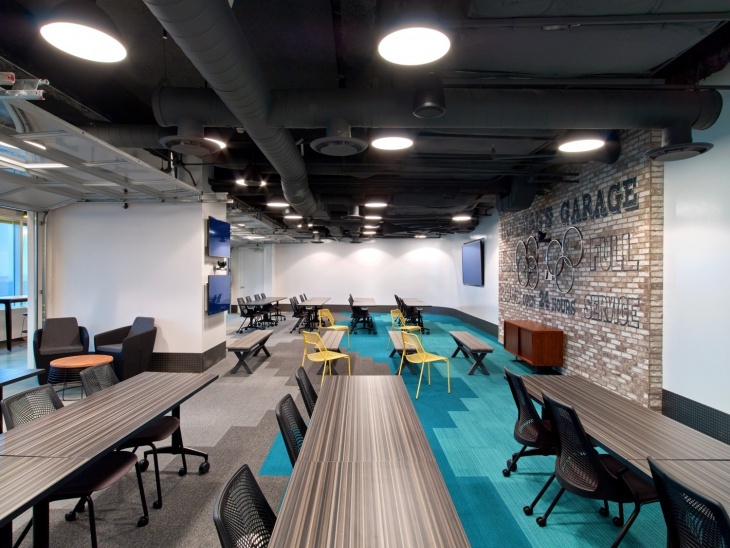 If you work in a rather creative line of work, choose to go a bit edgy by adding bright colored interiors. Try and include a red colored flooring and contrast it with black chairs. The colors will surely add on to the energy in your meetings and work. For a look that is elegant and classic, go for grayish hue flooring either with carpet or tiles. You can add cream colored chairs to make the entire look more subtle and soft. 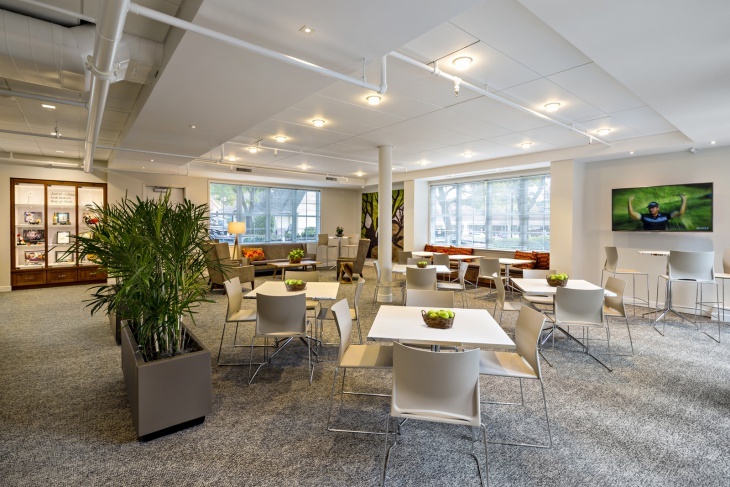 If you think your meeting room still misses on something try and incorporate plants for giving a fresh and natural ambiance to otherwise formal setup. 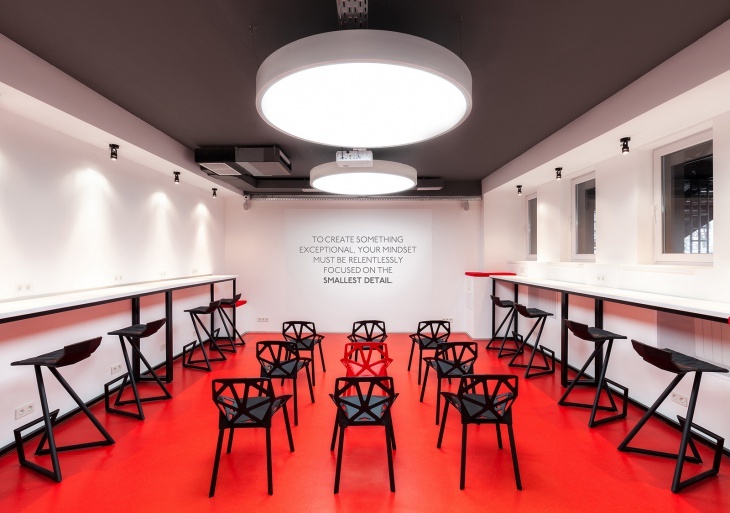 Who says meeting rooms are supposed to be boring and dull? Bring in the color smartly and transform the look of your space. If including bright flooring and decor elements is too overbearing, incorporate the colors cleverly either by adding a sharp color to the wall in the back or with the cushions of the chair. This experiment will not just make the look more colorful but also keep it formal at the same time. 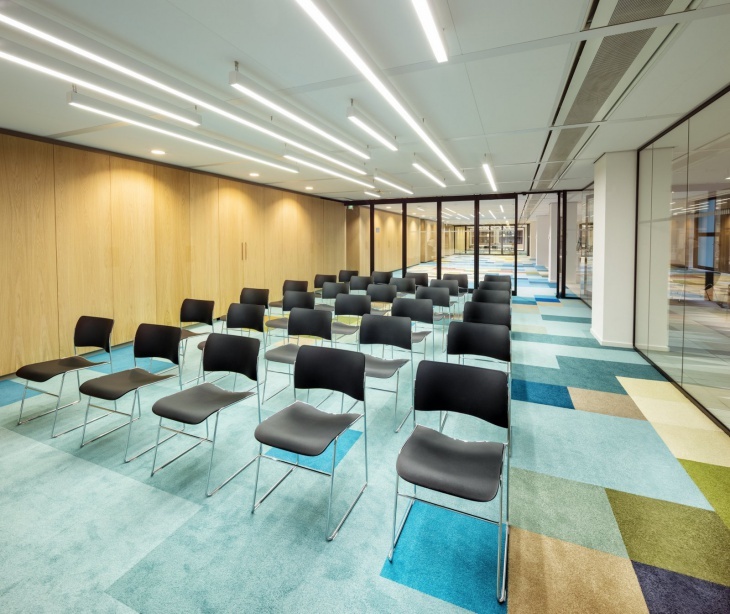 Go with a multicolored setup by including a limited number of colored chairs and changing the color of a small portion of the flooring in the office. 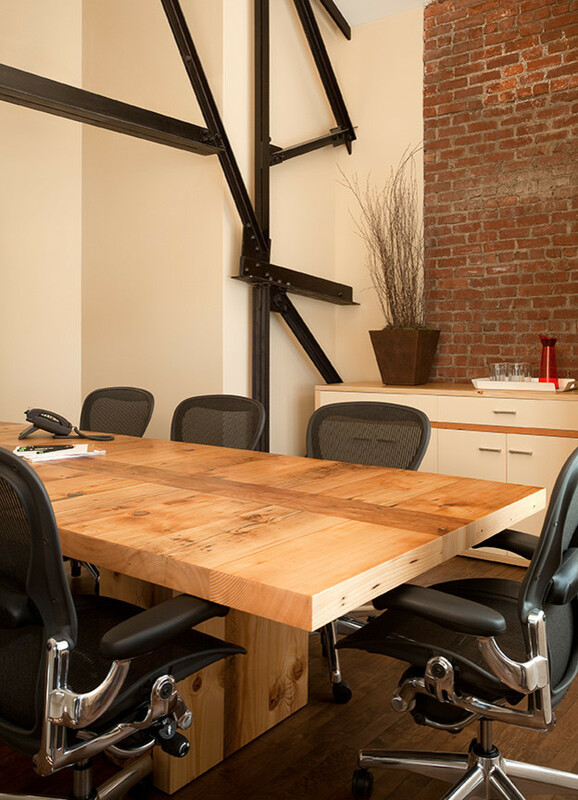 The look is beautiful and brings a personal edge to the meeting space. 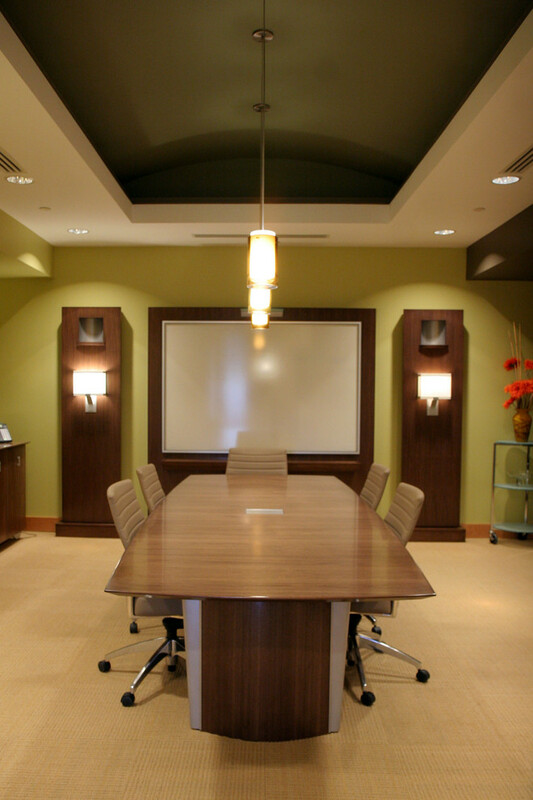 You can even transform the look of your meeting space with colored wallpaper and lightings. Stick to a neutral colored furniture and let the wallpaper be the converting factor. 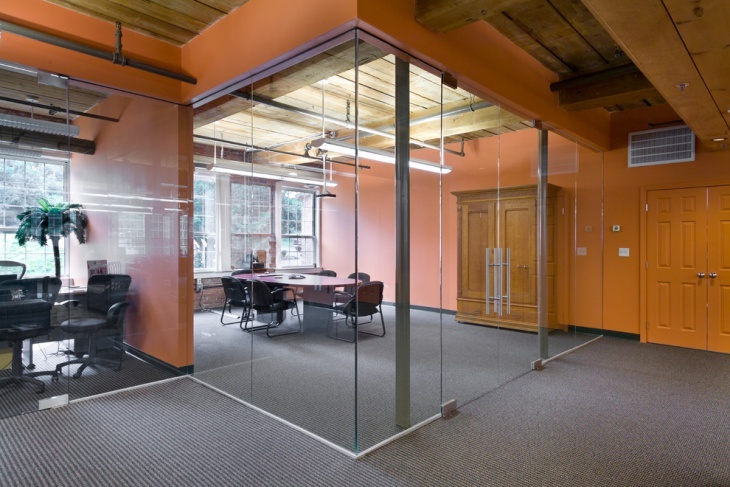 If your office setup allows you to have it, disperse the furniture in the room and choose comfortable chairs in one selected area and formal seats in other. 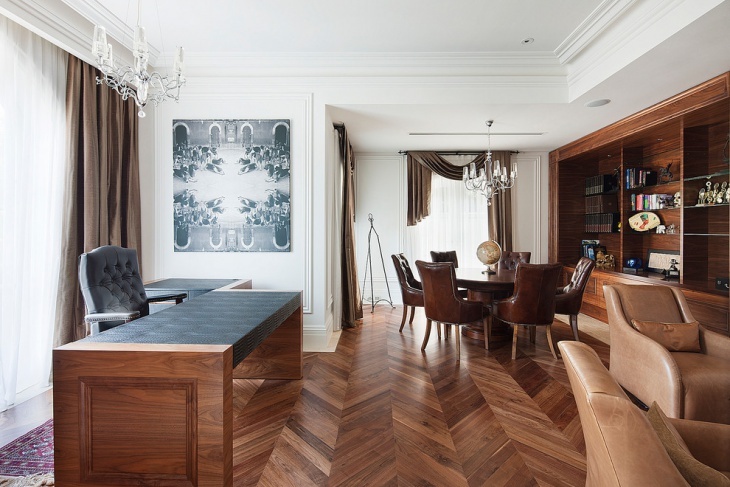 You can also include separate carpets beneath your furniture for defining the look further. Bring in the color by experimenting with the look of your furniture. Include bright colored one seater sofa sets and contrast the look further by complimenting it with a carpet and neutral flooring. 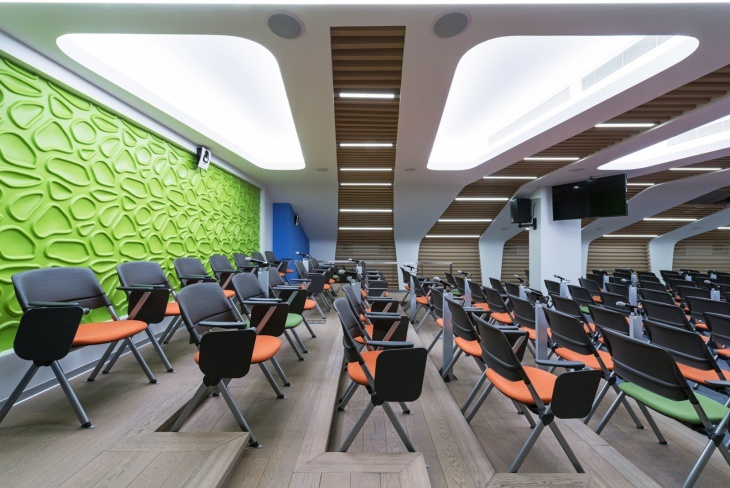 Meeting rooms offer a multipurpose use and as the room holds the maximum brainstorming sessions make sure the design turns out to be the encouraging factor rather than a hindering one.